You Mean I'm Not Lazy, Stupid or Crazy?! 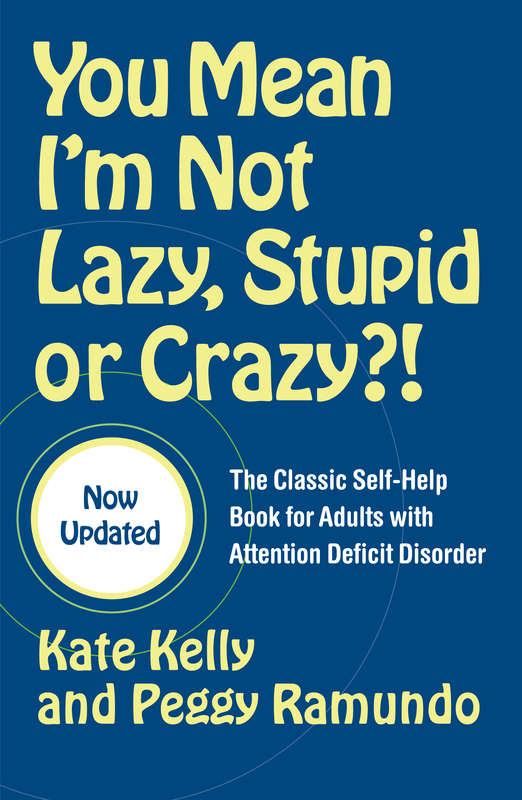 An updated edition of the classic self-help book for people with Attention Deficit Disorder! Kate Kelly is an advanced practice mental health nurse with twenty-two years’ experience as a family, group, and individual therapist. She has specialized in working with AD/HD adults for the past thirteen years and is the founder of the ADDed Dimension Coaching Group. Kate and Peggy Ramundo are the coauthors of the bestselling books, You Mean I'm Not Lazy, Stupid or Crazy?! and The ADDed Dimension. Both Kate and Peggy are nationally known speakers and workshop leaders, offering topics related to AD/HD. Currently, Peggy and Kate are revising the Lazy Crazy book and writing a third book on AD/HD and relationships. Currently in private practice as an ADD and Life Coach, Peggy Ramundo,BS, A.C.T., STCL, DT, SCAC has been coaching adults with ADD for twelve years and has been working professionally with ADD adults for twenty-five years. A senior Tele-Class leader for the world’s first ADD coach training program with The Optimal Functioning Institute, Peggy also served as OFI’s Director of Training. Peggy and Kate Kelly are the coauthors of the bestselling books, You Mean I'm Not Lazy, Stupid or Crazy?! and The ADDed Dimension. Both Peggy and Kate are nationally known speakers and workshop leaders, offering topics related to AD/HD. Currently, Peggy and Kate are revising the Lazy Crazy book and writing a third book on AD/HD and relationships. Book Cover Image (jpg): You Mean I'm Not Lazy, Stupid or Crazy? !